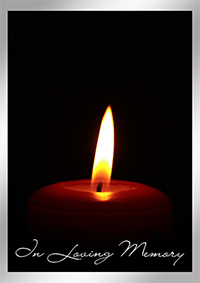 Beck, Thomas A., 51, of Elsmere, Ky. passed away January 13, 2019 at his home. Thomas was a Self Employeed Roofer. He is preceded by his Parents; Thomas and Theresa Beck. Thomas is survivied by his Wife; Evelyn Beck, Sons; Richard Taylor, Alexandria Arcos, Daughters; Tiffany Taylor, Juanita Mullins, Brother; Jeff Beck, Sister; Kimberle Schutter and 4 Grandchildren. Services are pending at this time. Don Catchen and Son Funeral Home, Elsmere assisting the family.